No one said we were perfect. 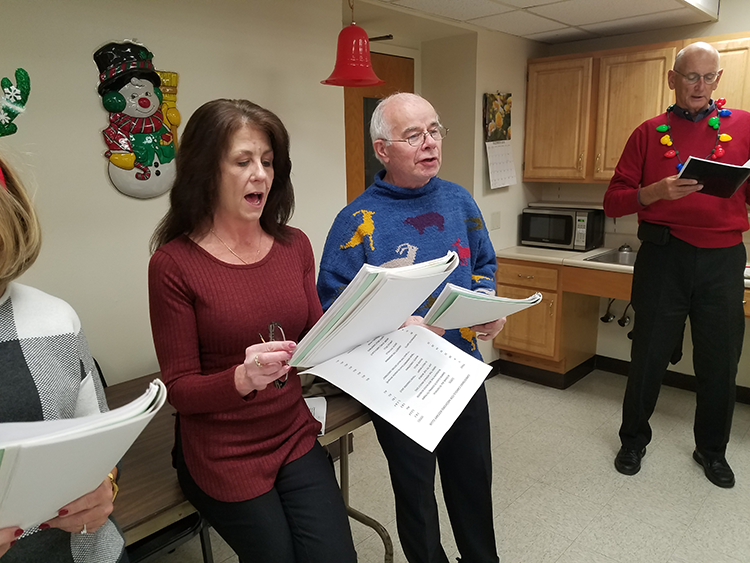 But we all had fun with our Holiday Classic Sing Along at two of the Sr. Housing Residences in Medford. Tom Burke arranged for the Medford Club to spread some holiday cheer. This has been a tradition for over 15 years. Dom Cammara led us in song as we entertained the residents at Riverside Ave and Bradlee Rd housing. Tina Buke and Nancy Caporale made gift bags for everyone attending with hand soap, lotion, tissues and cookies.